Hunter Mountain looks impassable at first. 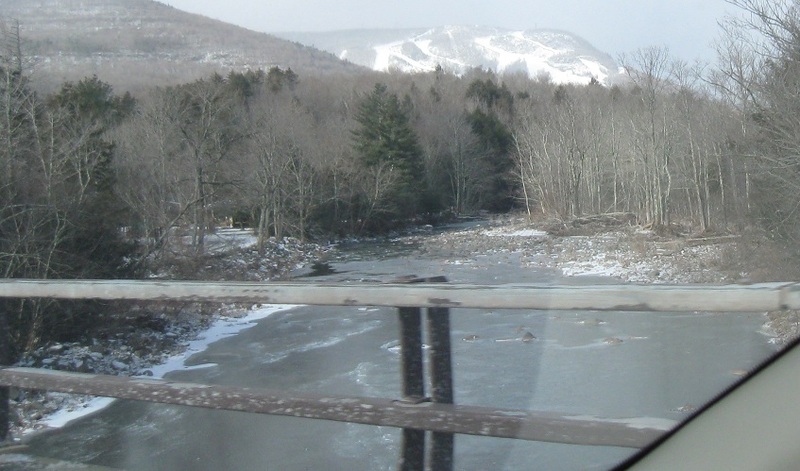 The popular ski slope of that name is just to the west, in the direction of Schoharie Creek. Winter brings storms. Storms bring damage. Snowmobilers are sad. 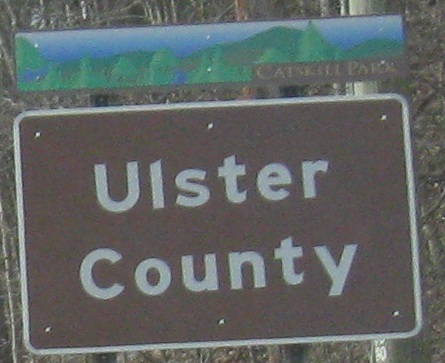 Ulster County should be in yellow text for NY's state park standard. NY 214 turns onto former NY 28 in Phoenicia. 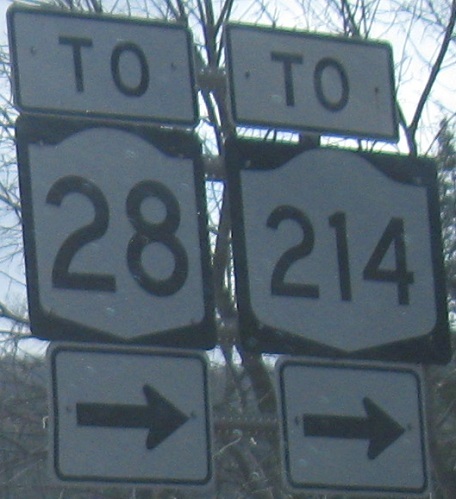 Not only is the "TO" incorrect from the standpoint that this is 214 itself, but the road to the right doesn't lead "to 214" at all, because 214 ends as soon as it hits 28. 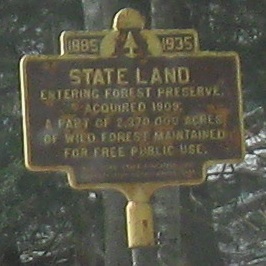 The incorrect sign that predates my last photo, courtesy Doug Kerr. There is no US 28. 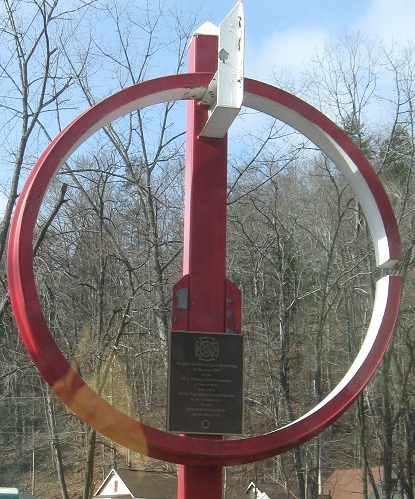 This old fire station alarm ring is on the northwest corner of NY 214 and old 28 (Main St.).